Ensure that your database is working fine. Contact us today for an instant PostgreSQL database healthcheck. Trouble with your PostgreSQL database? behave in a “somewhat” strange way? show signs of bad performance and slowness? show messages related to database corruption and inconsistency? fail on database restore and backup failure? issue strange messages you cannot understand? If yes, it is time for a Cybertec instant healthcheck. Our PostgreSQL experts here at Cybertec will get in touch with you instantly and we will work on your database deployment until everything is fast and working flawlessly again. We will make sure that your system is fast, healthy, and futureproof. We will work in recommendations with the customer to ensure that proper monitoring is in place. 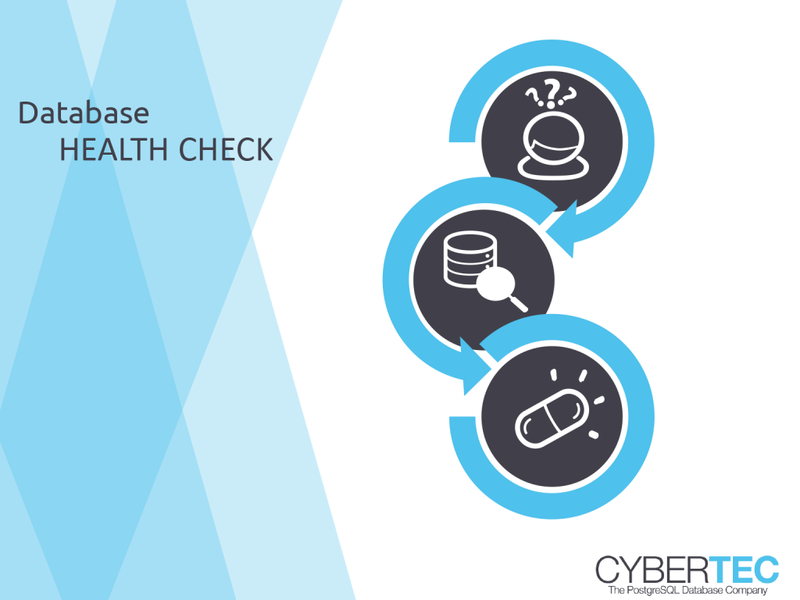 Cybertec can provide PostgreSQL database healthchecks regardless of the operating system you are using. We can help on all platforms, which includes Linux, Windows, Mac OS X, Solaris, AIX, FreeBSD, and many others. We also perform healthchecks on all popular Linux distributions such as RedHat, CentOS, Ubuntu, Debian, and so on. Our team has a variety of tools to ensure that all those platforms can be analyzed in a professional way. Contact us now and receive your personal offer for better database performance and for more reliability. behave in a “somwhat” strange way?